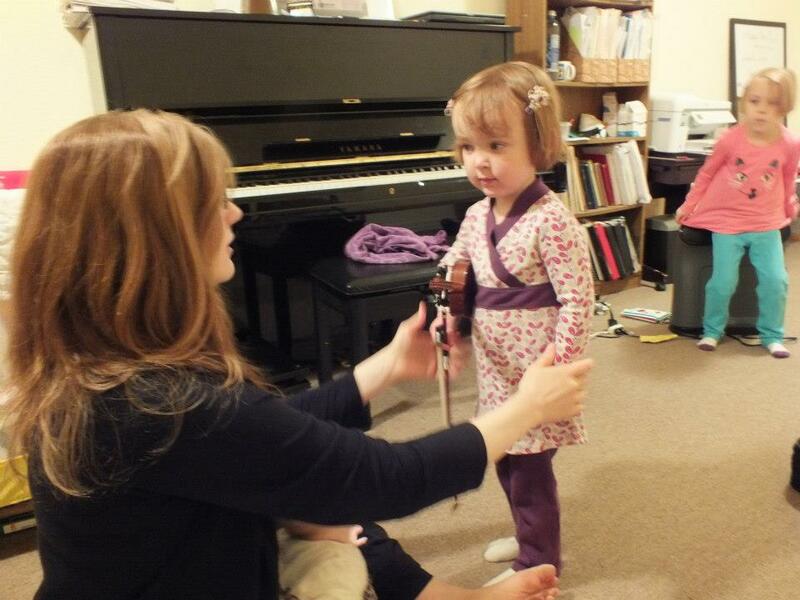 If you taught your child to walk and talk, you can teach them to make music. 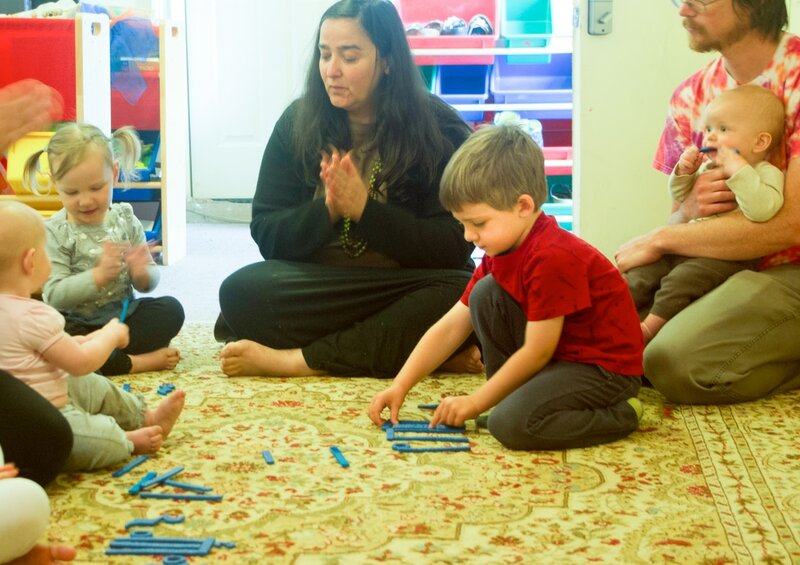 Ability Development is a philosphy of teaching that gives a family the support and incremental steps they need to build mastery of a skill, and at Dizney Music Studios we are honored to be part of that ten to fifteen year process. We believe that every child can learn, if they are taught with the mother tongue approach where children are surrounded by masterful recordings, parental and community involvement, and a dedicated mentor. Partner with an educator who is dedicated to the holisitic development of your child from birth to college. Enter into a world of sound and movement in a loving, thoughtful process of exposure and experience building. Invest in relationships with mentors and peers as you work side-by-side building foundational skills for lifetime success. 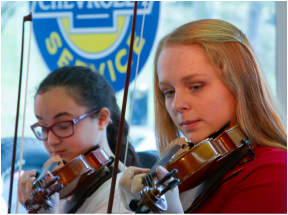 Dizney Music Studio families joined the South Sound Suzuki Strings at the Dickens Festival in Tacoma's historic Stadium District. 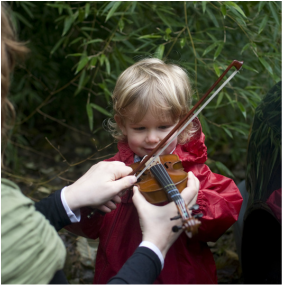 After fifteen years of teaching Suzuki music lessons, director Janet Killmer saw that children were being held back in their music lessons because of unnatural physical development, so she started an outdoor preschool based on Dr. Suzuki's philosophies of Ability Development with plenty of opportunity for biologically normal human movements.